Steve Green is a business development manager for Xylem Inc. focused on the water utilities market in the Americas. Steve’s focus is to grow and maintain Xylem’s reputation as the best-in-class provider of water and wastewater equipment and services to municipal clients in North and South America. 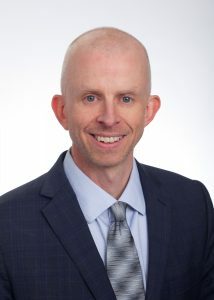 Steve began his career as a civil engineering consultant, designing water and wastewater treatment plants and conveyance systems, before obtaining his MBA degree and transitioning into business development, sales, and marketing roles in the water industry. Steve also serves as an Advisor Member to the Water Design-Build Council, furthering best practices for technology deployment in collaborative delivery projects. Steve has over 19 years of experience in the water industry. Steve holds a Bachelor of Science degree in civil engineering from Montana State University and an MBA from the University of Washington.